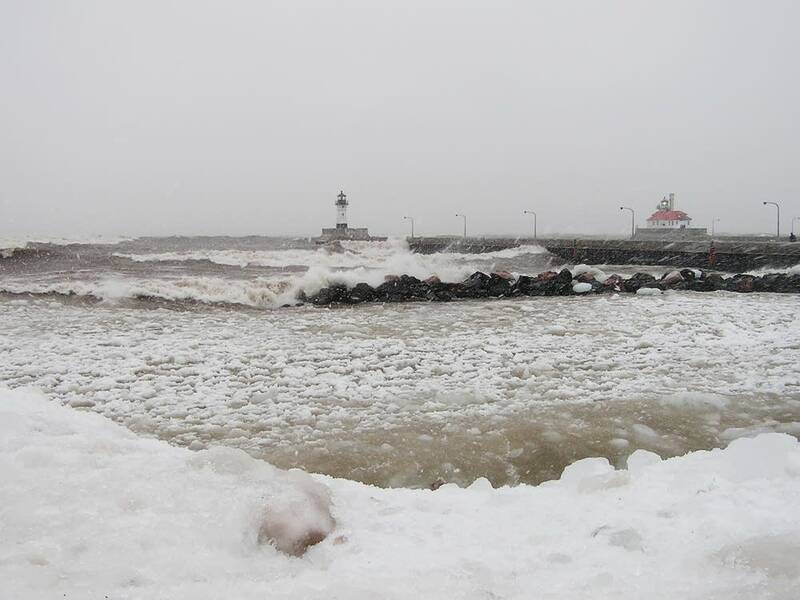 People braved the winter-like weather near Duluth's Canal Park museum Wednesday to see the giant waves and spray generated by winds that have been gusting up to 50 mph from a storm sweeping through the Minnesota. The small parking lot was nearly full on; much like you'd expect on a weekend in July. Tom Holden runs the museum and was out trying to close gates supposed to keep people off the ship piers. "Yesterday and today we had quite a few people around -- not quite as many today -- but yesterday there were a lot of families down with young kids to see the waves coming up over the ship canal, and water spraying over the lake shore," Holden said. "It was pretty exciting. It was fun." Most people were trying to get photos of the spectacular waves, with waves rolling right over the tops of the piers that extend out to the canal's ship entry. 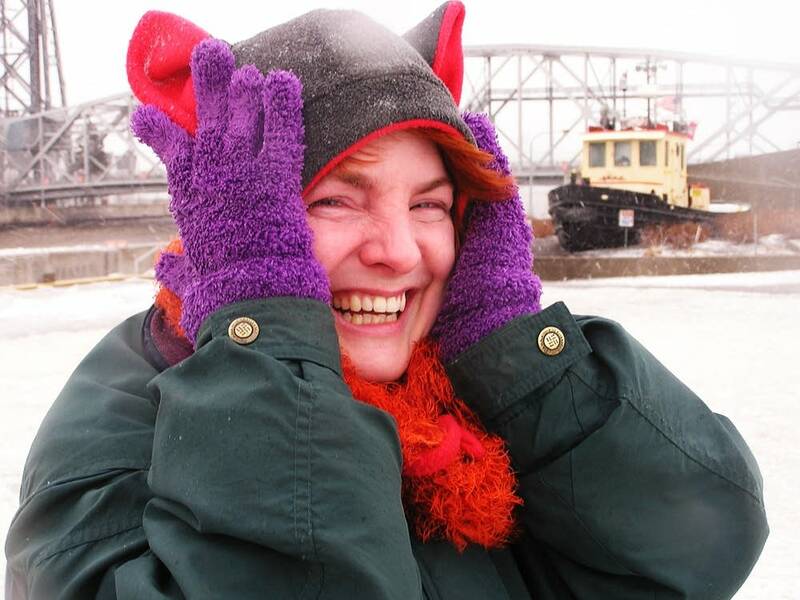 St. Paul teacher Windy Bowlsby was there, wrapped in a parka with red ears. 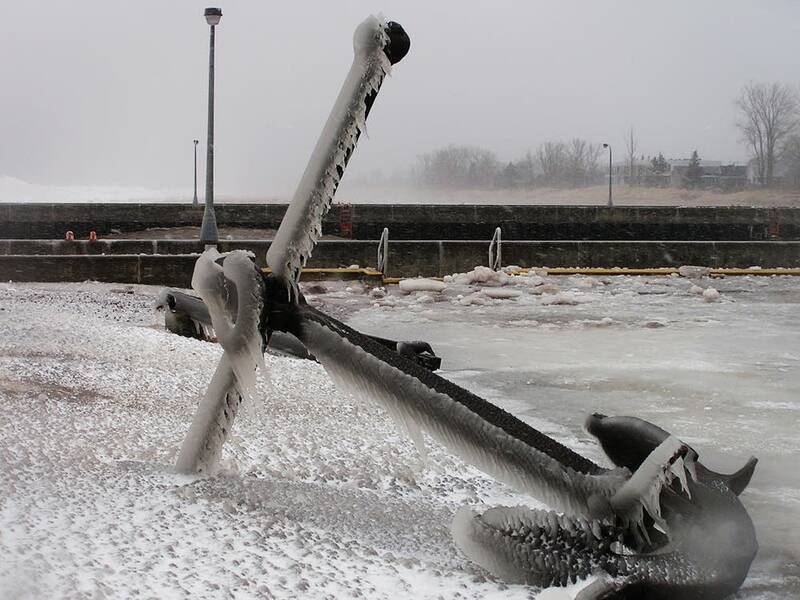 Bowsbly said this isn't what she expected when she planned a spring vacation in Duluth. "But it's awesome. I posted it on my Facebook," Bowlsby said. "I said, 'no the weather's not pleasant, but it is amazing.'"